To conclude this fabulous round of Subtle technologies, we couldn’t omit the element that during these days has informed and enriched with its presence our conversations: Science Fiction. Subtle technologies started with a reference to the Hitchhicker’s guide to the galaxy, mentioned many times William Gibson and Bruce Sterling, Mary Shelley and countless movie references. 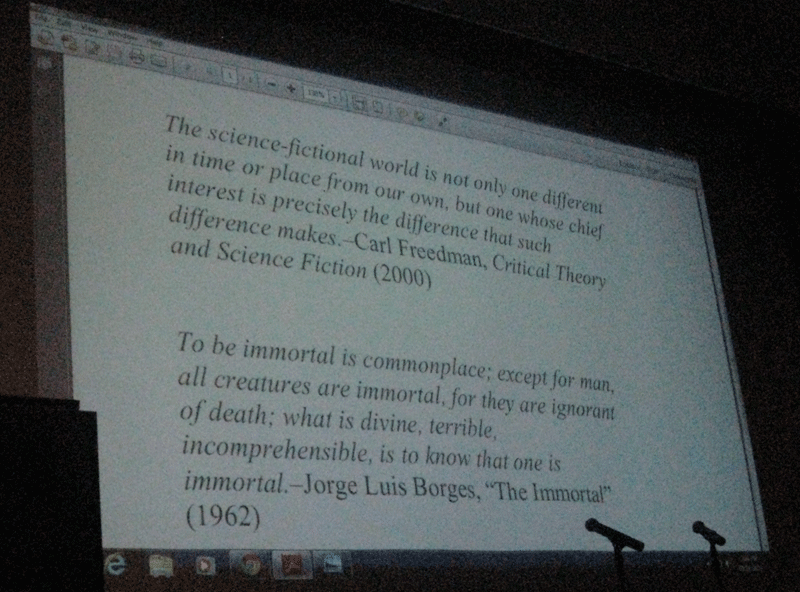 Conceived as a panel and then morphed into a creative roundtable where artists and the hackers’ community were invited to submit thoughts and artworks, this session was introduced by an invited talk by feminist Science Fiction scholar Veronica Hollinger who navigated us through the meanders of immortality in scifi literature. It was followed by an open discussionfeaturing Veronica, Eric Boyd and myself and by a final ironic experiment by Colombian/Canadian artist Alejandro Tamayo that wrapped up the entire conference. Artworks submitted were by Elaine Whittaker, Lisa Carrie Goldberg, and Eric Boyd. part of the discussion was inspired by a meeting on immortality that happened in early february at the Hacklab in Toronto. In reality, science fiction is an essential tool to understand, to unpack at anytime, the key desires and the struggles that characterize the way in which we try to cope with, and in turn we shape science and technologies. Hollinger defines science fiction as the expression of participatory evolution. no matter the technology of the time, there has always been someone with that project in mind. 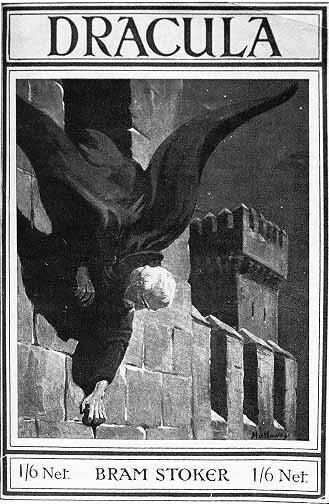 Shelley and Stoker remain among the most memorable (yet not the first) to have problematized immortality in a science fictional text, as both escape from death and as warning against its consequences. After the lecture, Eric passed me a google books Ngram viewer that shows the presence of the theme in texts from 1800 on. The spike in interest in immortality in the 1820s shown by the above graph appears to follow the publication of Frankenstein (1818). Shelley certainly contributed to popularize the fairly recent advancements in the study of electricity in the late 1700s. 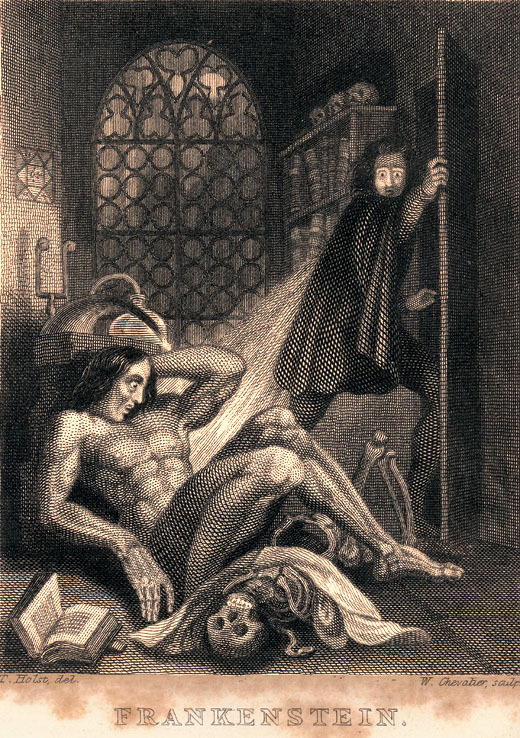 However, experiments in the Teatrum Anatomicum conducted by Galvani and other clever public communicators of science has already evoked a great deal of excitement regarding the ability of the science and technology of electricity to defeat immortality and even bring back the dead. In the same way as Shelley and Stoker’s novels cope with the drive towards immortality by using science and narratives proper of their times (e.g. the use of electricity to bring back the dead), contemporary novelists have built their stories starting from the latest technologies popularized since the 1970s: cryogenics, cloning, biotechnologies bodily enhancement etc… Cyberpunk in the 1980s and the more recent wave of biopunk are exemplary. 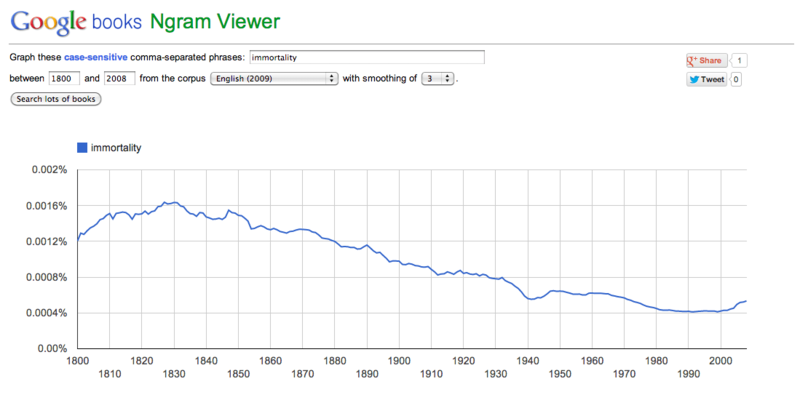 It appears that the interest in immortality has faded though. maybe we have become overconfident and think this topic is not worth being discussed anymore? On the one hand, the advent of cyberspace has provided a plethora of fantasies regarding the fading separation between the organic and the technological and has open up new potentials for extending life in the virtual world; on the other hand, genetic and bio-engineering, nanotechnology, developments in prosthetics has promised even more effective ways to achieve immortality. It is in this context that the materiality of the body simultaneously loses its significance as embodied subject and acquires even more importance as the subject of philosophical contentions. Is my body in this new configuration my own body? I am soul and body, but is this body myself? With reflections over new technologies emerge intense political imaginations. Some recent post-singularity stories concerned with longevity and immortality can be found in novels and short stories by Greg Egan, Iain M. Banks (who sadly passed away this very week end), Kim Stanley Robinson, and Paolo Bacigalupi, all contemporary authors that have provided nuanced visions of posthuman and post-scarcity realities, embodied and synthetic futures, utopian and dystopian societies. we are reminded here of the “Frankenstein syndrome”: with every technology emerging, we make extrapolations and imagine the benefits that these technologies will bring, but we are somehow never able to predict or to take responsibility for their consequences. here is a list of science fiction books that deal with immortality.